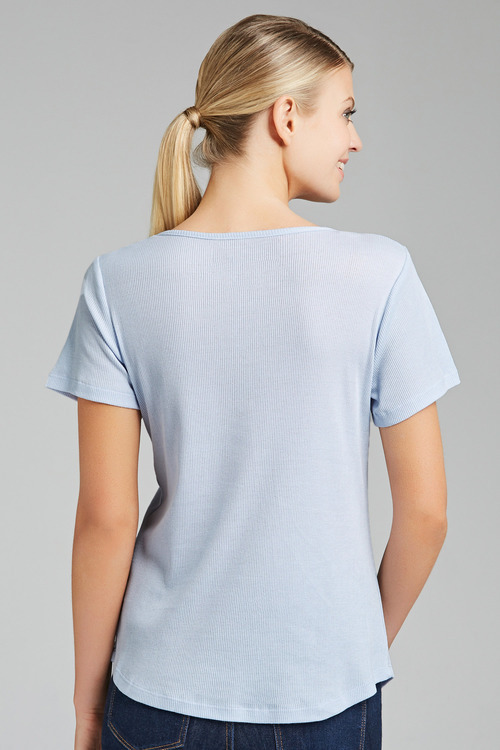 Stock Low : 478 items left. 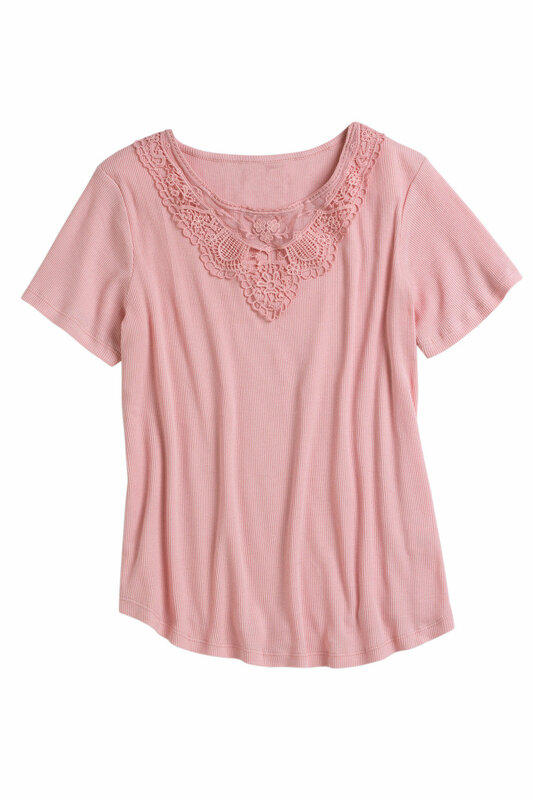 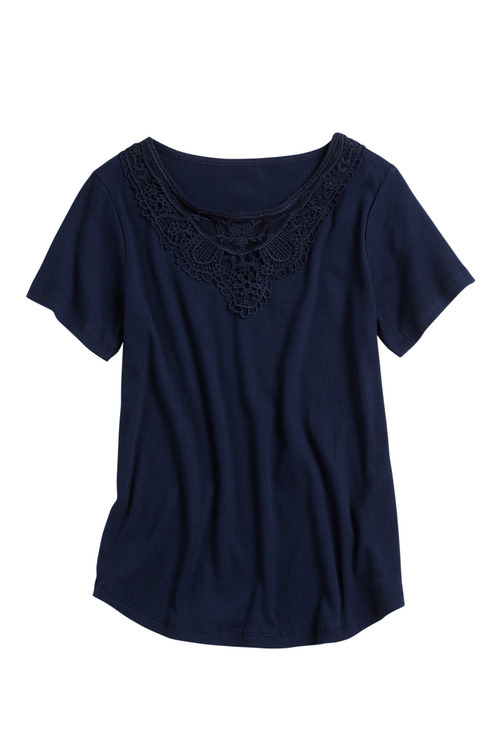 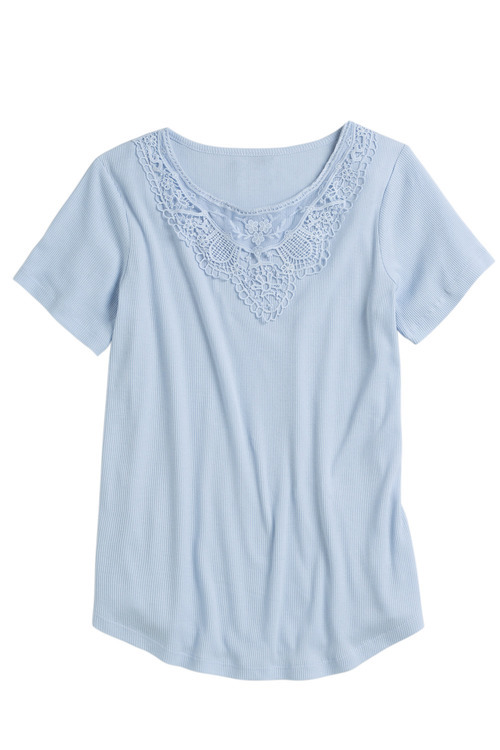 No wardrobe is complete without a comfy, flattering and fashionable staple tee that will complement almost any casual separate, and Capture have given us the perfect option in the Lace Trim Cotton Rib Tee, available in several on-trend yet timeless hues. 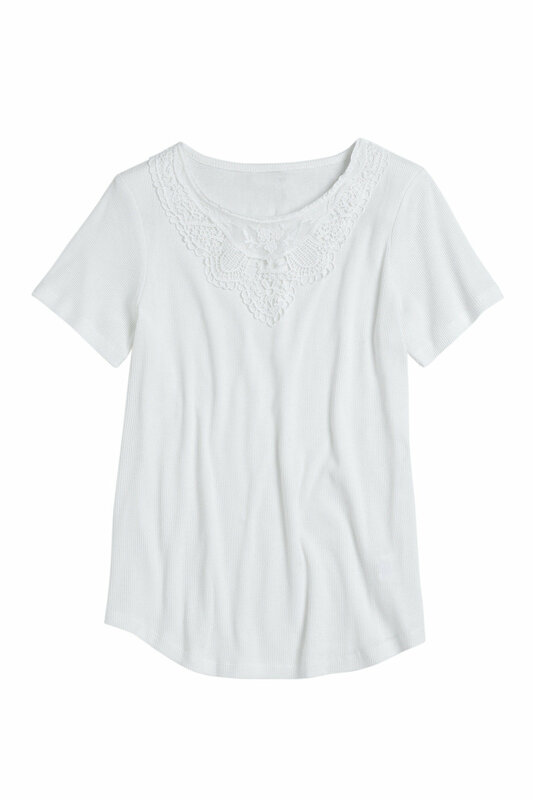 Crafted from a quality cotton rib, this piece is durable, breathable and easy to care for, making it great for regular wear throughout the year. We'll be wearing ours with white cropped trousers and embellished sandals or ballet flats.